Marrakesh is a city that overwhelms the senses in the very best way. It is brightly coloured wool hanging to dry, reds and yellows and Majorelle blue; it is the sounds of the water carriers in the main square, clanging their cymbals; it is the rough edges of an antique carpet, or the smooth leather of a new shoe; it is the taste of sweet oranges and tagines piled high; it is the scent of saffron and mint in the air. And the best way to experience it all is to explore its markets. 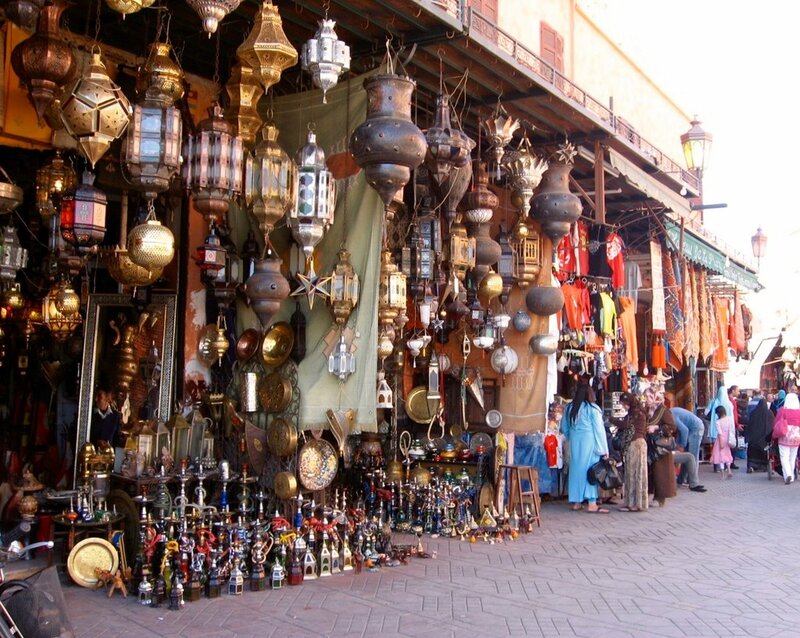 Around Jemaa el-Fnaa, Marrakesh's main square, you'll find the labyrinth of shopping streets known locally as the souks. Though traditionally each street, or souk, sold a specific craft, the borders are a bit more blurred these days, meaning many shops sell a variety of items. Whether you're on the hunt for a specific Moroccan souvenir or just out to wander, the souks are one of the highlights of a visit to Marrakesh. 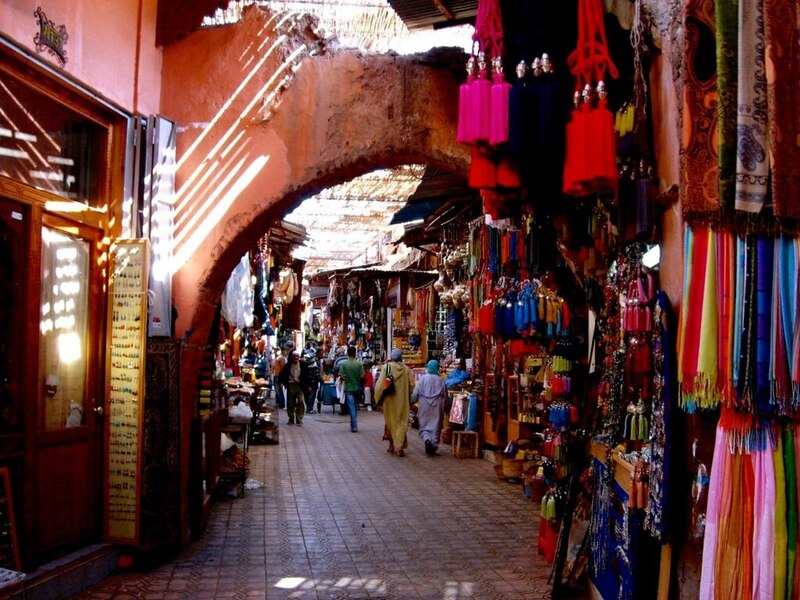 While most of the souks are open daily from around 7am to 6pm (though some stay open quite late for tourist shopping), the best times to shop are early morning or in the early evening, as the middle of the day can be uncomfortably hot, depending on the season. My advice? Don't be afraid to get a little lost. You never know what treasures you'll uncover. For all of the markets listed, you'll probably have to do some haggling in order to get the price you want. Though some shopkeepers will start with very high prices, it is perfectly acceptable to negotiate on a price that works for both of you. In general, offer half of what he or she first quotes, and then work from there. I've often ended up sharing a glass of mint tea with a shopkeeper after a successful negotiation! While jewellery is sold throughout many of the souks, one of the best places to find piles of colourful jewellery is Souk Siyyaghin. Whether you're looking for traditional Berber pieces or replicas, you can find an array of beautiful rings, earrings, necklaces, bracelets, and more, including real silver and gold. Many people come to Marrakesh looking for the perfect Moroccan carpet. 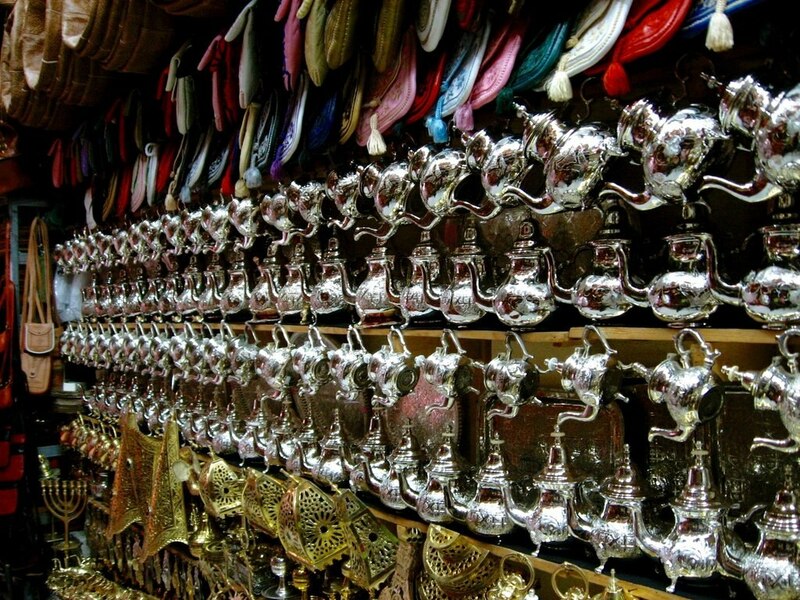 The best place to find a large variety is the Criée Berbère - also known as the Souk Zrabia - off of the Spice Square. Some of the most beautiful designs are the antique Berber carpets, but these will be much more expensive than new items (though still cheaper than at home). My tip for carpet-shopping is to be prepared to take a lot of time; finding the perfect piece isn't always easy, but the shopkeepers are happy to help if you explain what you're looking for. If you want a break from the seemingly never-ending maze of souks around the Medina, head to Rahba Kedima Square, sometimes referred to as the Spice Square. Here you can find many - you guessed it - spices for sale, but also lots of other goods such as baskets, toys, carpets, and other trinkets. It has a more relaxed feel to the main square, but you can still get a lot of shopping done and also take the time to enjoy a mint tea at one of the cafés. 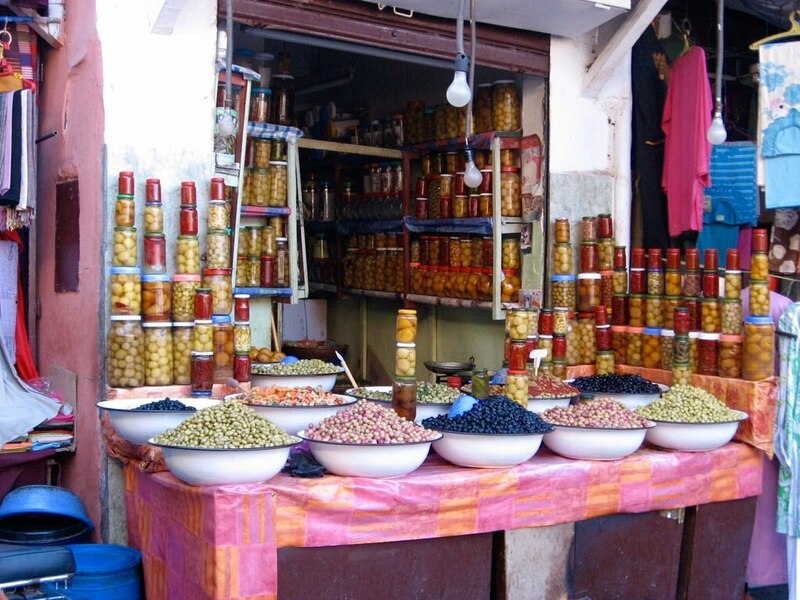 Anyone who has tasted Moroccan food knows that it is bursting with flavour; to integrate these flavours into your own cooking, head to the markets in the Mellah (the Jewish Quarter). Here you can find nearly any spice you want, though the specialty is saffron. If you aren't an avid cook or don't want to haggle, just walking through the spice market is still a fun event; the scents of cardamom, cinnamon, and cayenne are intoxicating, and there's plenty to see. While you can find many spices for sale in the souks near Jemaa el-Fnaa, the spice market in the Mellah is much quieter, and also where many locals shop. This is also a great place to look for good deals on jewellery. 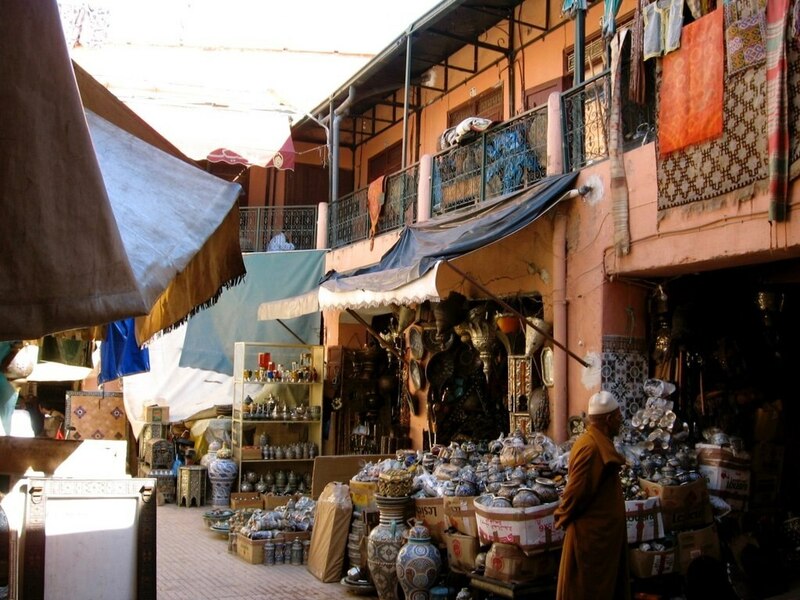 For something a bit more unusual, check out Marrakech's weekly flea market, Bab el Khemis, held every Thursday. There is no guarantee of finding anything of value here - it is often described as a mix of junk and treasure, and you have to be willing to dig - but if you have some extra time in Marrakesh and are up for a challenge, this is the place to shop. Whether you're after perfume, olives, slippers, teapots, incense, leather bags, or just about anything in between, Marrakesh's souks are definitely chaotic, yes, but also a lot of fun. My advice is to go in with an open mind, a sense of adventure, a handful of dirham, and a very good map.